The delightful three bedroom villa is situated in a quiet location, approximately 5km from the charming village of L'Isle-sur-la-Sorgue. The spacious property boasts a private swimming pool. The delightful three bedroom villa is situated in a quiet location, approximately 5km from the charming village of L'Isle-sur-la-Sorgue. The spacious property boasts a private swimming pool, three bedrooms, three bathrooms, a living area and a kitchen. The beautiful and charming village of L'Isle-sur-la-Sorgue is often referred to as the 'island city' due to the city's canals than run between the ancient and narrow streets. Antique lovers and art collectors are well catered for due to the abundance of boutiques and craft shops. You may also wish to explore the unique landscapes of the Vaucluse or visit the regional nature park of the Luberon. A visit to Avignon (33km away) is highly recommended, as is a visit to the ancient city of Nimes (80km). This beautiful villa is made from brick or stone. The agent has rated it as a four star property so it is a well-equipped villa with above average furnishings. It is also great value for money. 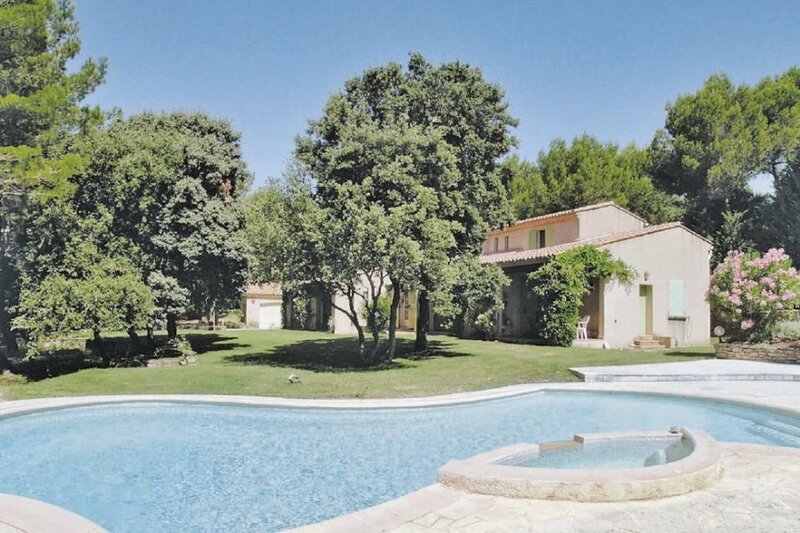 This villa has a private pool and is located in Saumane-de-Vaucluse, 25km from Avignon. It is set in a good location: there is a restaurant only 150 metres away. The villa has free wireless internet. The villa is adequately equipped: it has a microwave and dishwasher. It also has a barbecue, a garden and some garden furniture outside.